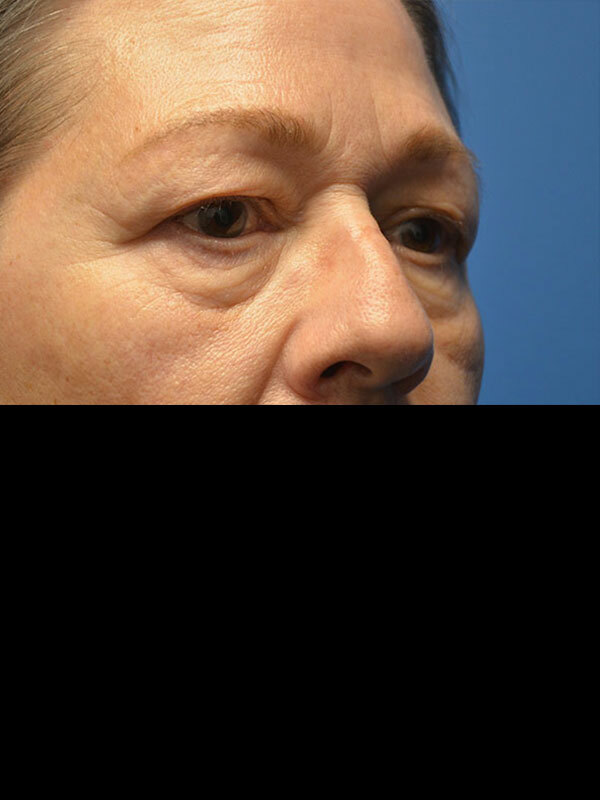 60 year old female presented complaining of a tired, worn out appearance to her upper face. She was found to have significant redundant skin on the upper eyelids, descent of the brow, and bags on the lower eyelids. 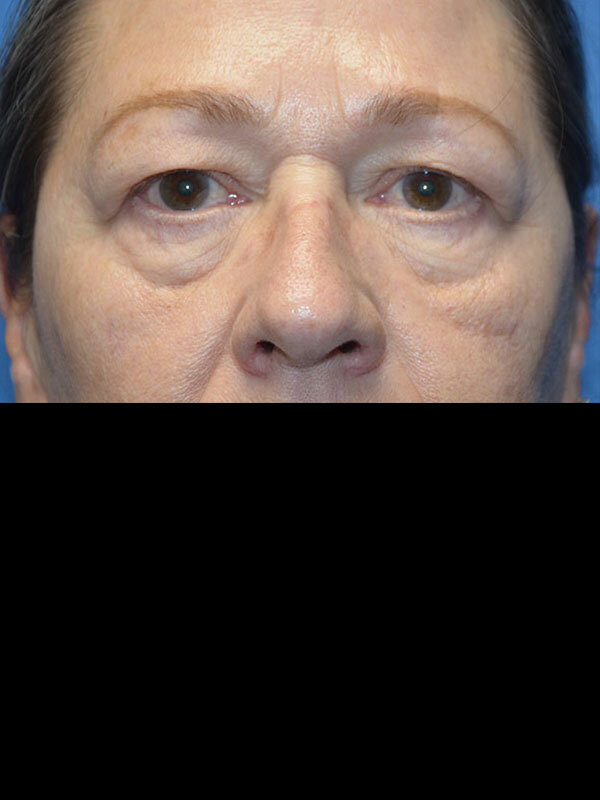 Endoscopic brow lift and upper and lower blepharoplasty was performed (upper and lower eyelid tuck). The bulging fatty deposits of the lower eyelids were also removed. She is shown 4 months after surgery and is very pleased with her results. Her brow is in a more elevated position. 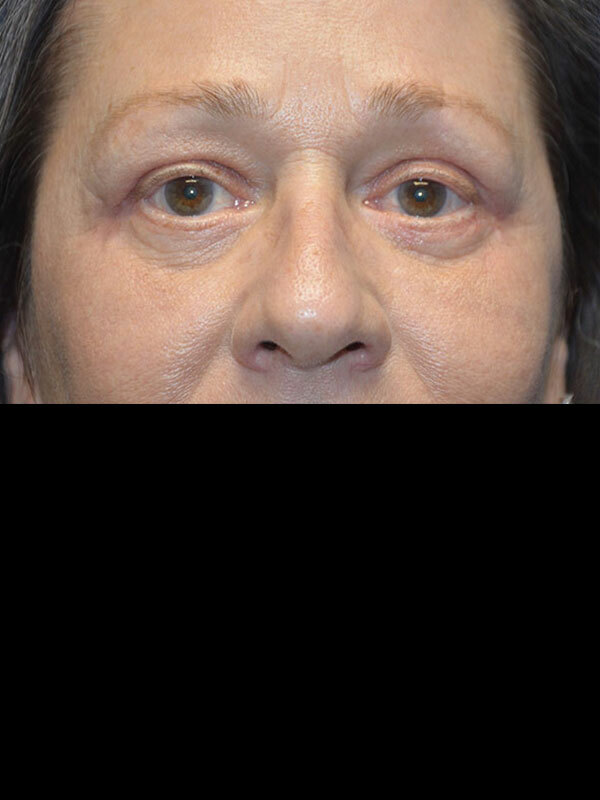 The excess skin of the upper eyelids has been removed giving her a crisper contour. The bulges across the lower eyelids have also been removed giving her a rested, rejuvenated appearance.